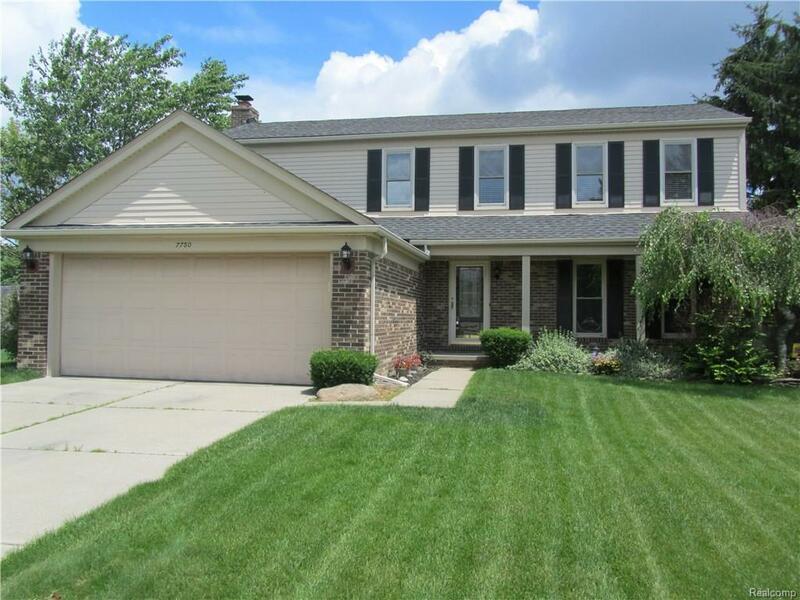 SUPER MAINTAINED COLONIAL SITUATED ON A CUL DE SAC IN MUCH DESIRED SUB.4 BEDROOMS 2 1/2 BATHS, NEUTRAL THRU OUT. KIT W/ OAK CABINETS With HARDWOOD,FOYER KIT, NOOK. WALLSIDE WINDOWS W WARRANTY, MARBLE SILLS, DOOR WALL TO A LARGE BACK YARD, 1ST FL. LAUNDRY RM.MASTER BEDROOM W/ FULL BATH & WALK-IN CLOSET.